So all week I have been posting tidbits about the vCloud Director Hybrid cloud I have been building. So what was my purpose for doing so? Well I did it to make a couple of points of course the following is the final outcome formed into a bit of a case study that you can digest for a while. The main reason I did this is that I feel we are still struggling with how to CONSUME the hybrid cloud model. We’ve spent a lot of time architecting the vCloud Director implementations in both the public and private cloud space. I decided I wanted to take a look at this from the consumer’s point of view. Those people who would be wanting to come to those of you that are vCloud Director providers and help them understand HOW to use these public clouds. So who are these consumers and users I am speaking about trying to help? It can be any one of us but for the purpose of this case study I want to take two specific examples that fit many possible situations out there. In both cases the need is simple. They both need to find new infrastructure without having to build it themselves. In the case of both I am actually focussing on them not building more themselves, but rather leveraging the vCloud Providers out there. They could consume in either a public cloud fashion, or a hosted private cloud fashion. For purposes of this study let’s assume they have decided to go to public cloud providers. I will play the role of the consumer as we continue forward. I will also be taking the aspect of the second scenario above. I have a datacenter, that’s met its limits of compute, memory, and storage. Obviously you can choose whomever you want, but in this case we are focussing on providers that are using vCloud Director 5.1 for it’s flexibility and simplicity to build your new organization Once I have decided on the providers I am going to use the next steps are fairly simple and frankly are no different than you would do if you were building a physical datacenter, except now we are doing a Software Defined Datacenter, (SDDC). Like any new datacenter you need to get the basic things configured. 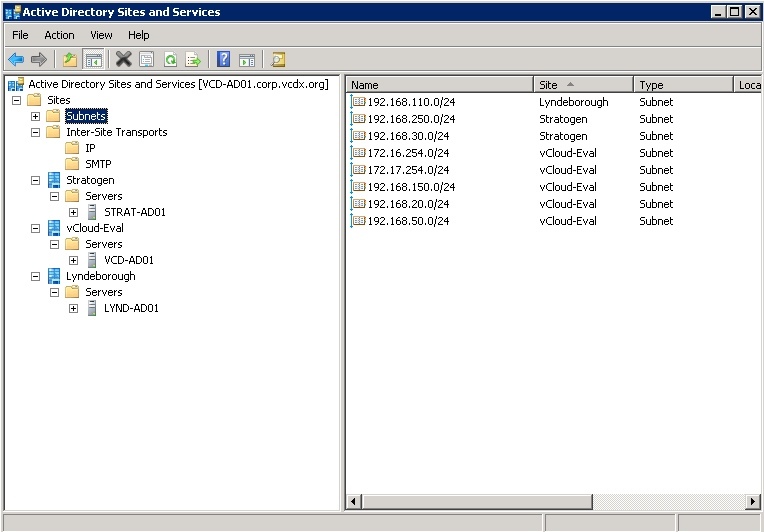 As I have shown in previous posts, vCloud Director 5.1 provides a lot of power to the organization administrator….YOU. The first order of business in my mind is the networking. You want to design this separately for each site as you would for a new physical site. Most all your traffic will leverage the Edge Gateway as well. Once you have gotten this figure out in your design of the two remote datacenters you can move forward. It goes without saying you don’t want to cross networking subnets between sites or VPN will not work. At this point you will also want to establish VPN connectivity between the sites and write the basic firewall rules for traffic to pass as you wish. This will be important as you begin to stand up your infrastructure as a service. Here you can basically download and import the vCloud Connector Nodes into your two Public Clouds. However, some providers are now building Multi-Tenant Nodes that you can simply leverage based on vCloud Connector 2.0. If this is the case you only need to build your vCloud Connector Server hosted in one of your clouds, but maybe you want one in both. Once you have this you can choose to move templates you already have in your current datacenter, or build fresh ones. You can upload ISO images and just build new if you want to be sure things are setup fresh. Either way you have the option so proceed as you wish. So at this point, we have networking, templates, and site 2 site VPN connectivity established. Now we just need to build out the Infrastructure we need to get started. Like any new datacenter the first thing we probably need is localized Active Directory. Assuming you have Active directory servers in your first datacenter you will want to make sure you setup new Sites and Services with the correct IP ranges. Now I am now Active Directory expert, I am just trying to at least cover the basics. Below you can see in my scenario I have set up the three sites, and also gone ahead and installed at least one Active Directory server in each of the new sites. This will become the local authentication and DNS server for any new Windows infrastructure in that site. Once you have pre-configured Active Directory Sites and Services in your Physical Datacenter controllers you can install from templates and promote the ones in the other sites. At this point you are ready to continue installing application servers, or other IaaS you want to add to your enterprise using your new vCloud Director Hybrid setup. These can be things like Public DNS, Public SMTP servers, maybe even Desktops at some point although that’s neither tested, nor supported on vCloud Director. Although this has been a basic study of how you can leverage vCloud Director Hybrid Clouds to expand your enterprise, it should give you a foundation to start thinking about. The diagram below is a much more expanded view of the possibilities you can reach to host many services in your new public vCloud Director Hybrid cloud. Really the point is that this is just like building a new physical datacenter, only in most cases it’s much faster. Of course as Network Virtualization and Storage Virtualization moves along this will only get better. I will be presenting this on next weeks vBrown Bag as well so we can open up discussion.